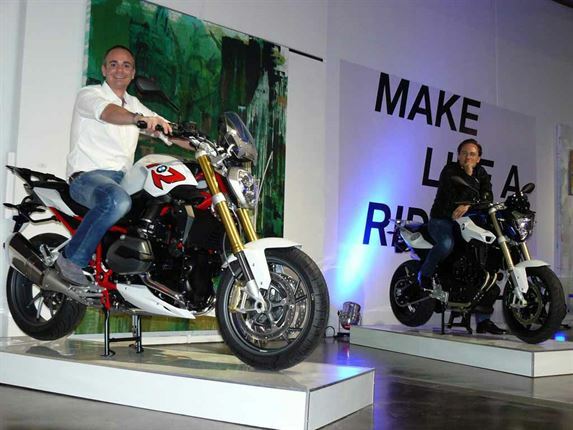 Florian Renndorfer, BMW Motorrad GM for Asia Pacific, Africa and China (left), and Alex Baraka, GM for BMW Motorrad SA, on the two new bikes. 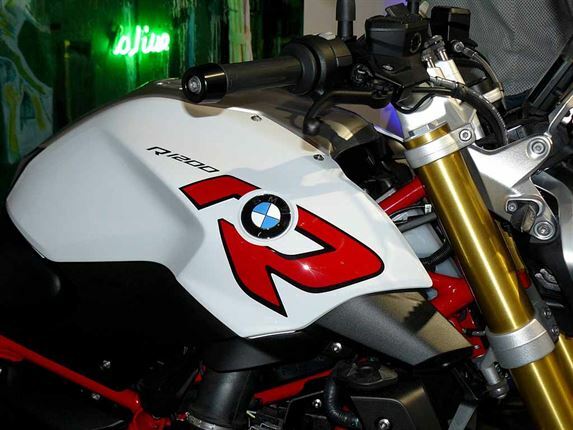 The R1200R sports the new 92kW liquid-cooled boxer mill. 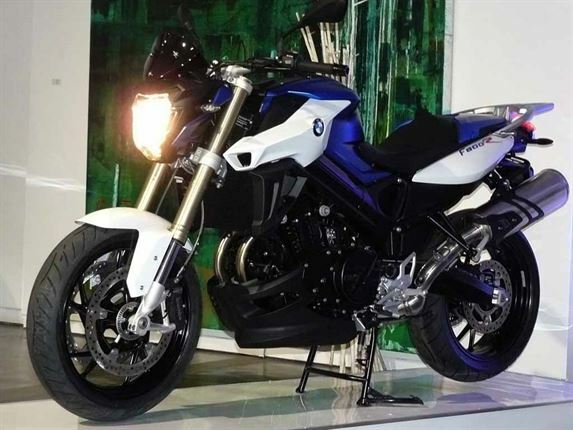 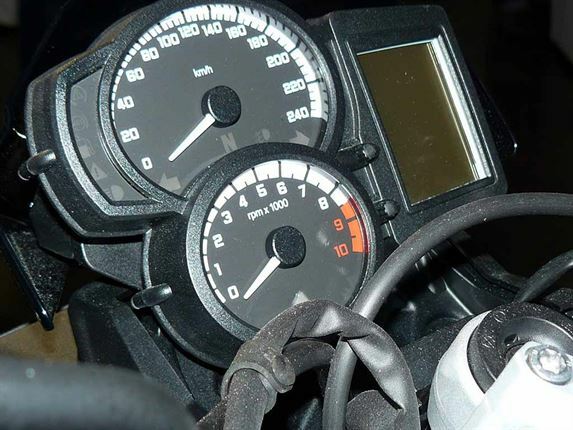 The F800R is new to the South African market, but has been around internationally since 2009. 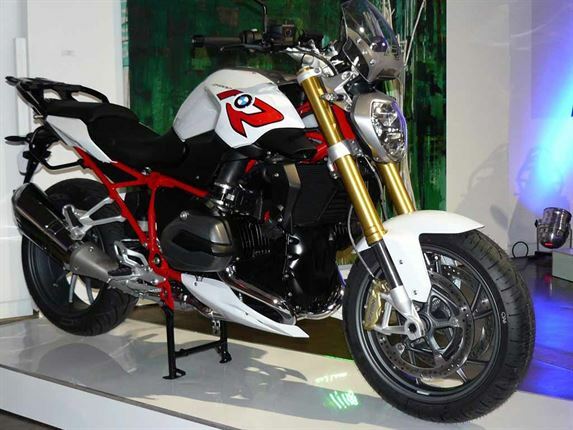 The red-on-white colour scheme gives the R1200R a sporty look. 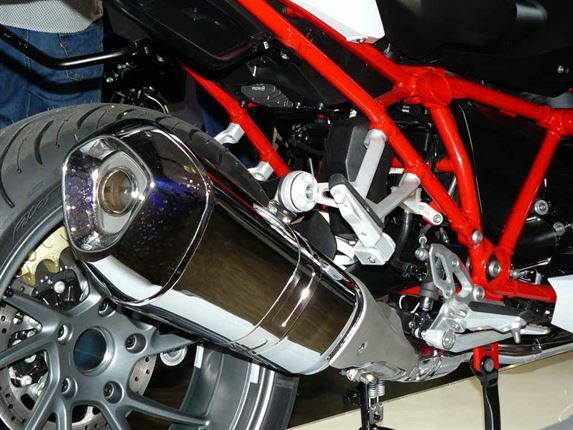 The right-hand exhaust on the R1200R identifies the engine as new liquid-cooled version. 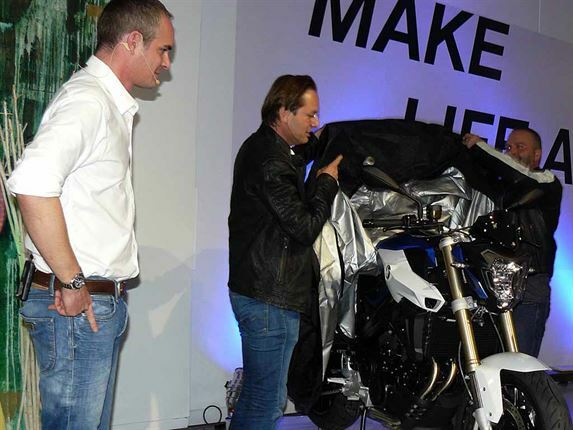 Alex Baraka (centre) and Greg Coetzee (right) unveil the F800R. 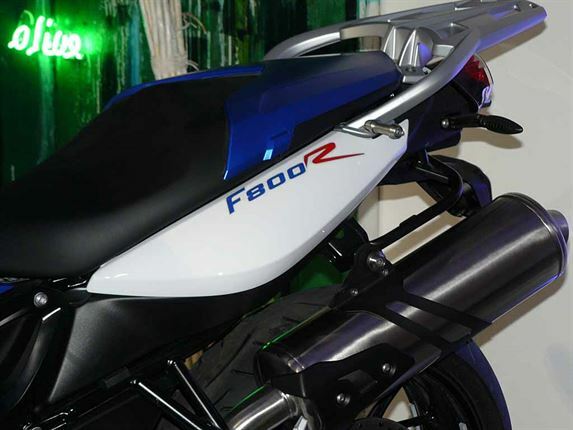 The sturdy carrier should help to solidify the F800R’s position as a practical all-rounder. 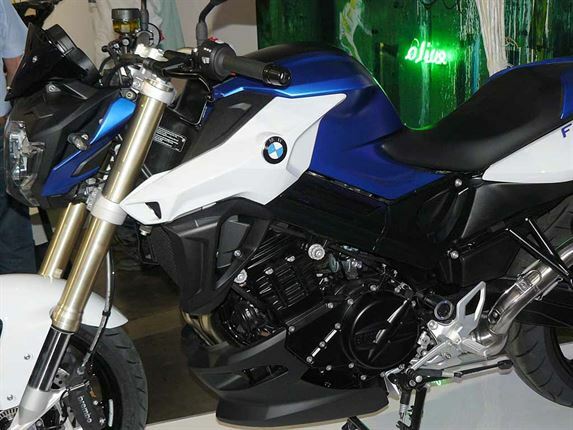 The BMW-Rotax F800 mill is a familiar sight, having done duty in the F-series GS models, the F800GT and the discontinued F800S. 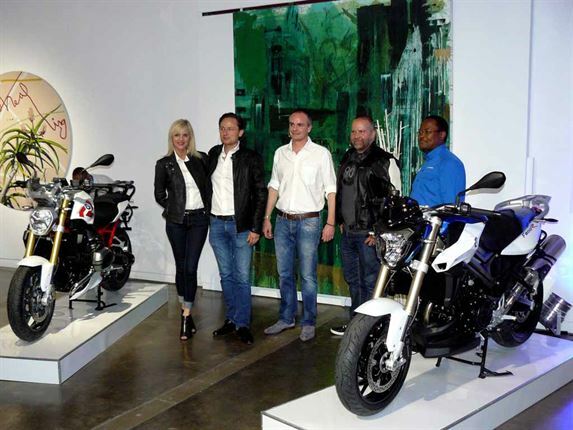 BMW staffers (from left) Cora Forsmann, Alex Baraka, Florian Renndorfer, Greg Coetzee and Edward Makwana.